Image size: 17.5 x 29 cm. Description: Antique print Indonesia titled 'T Eylant Amsterdam'. 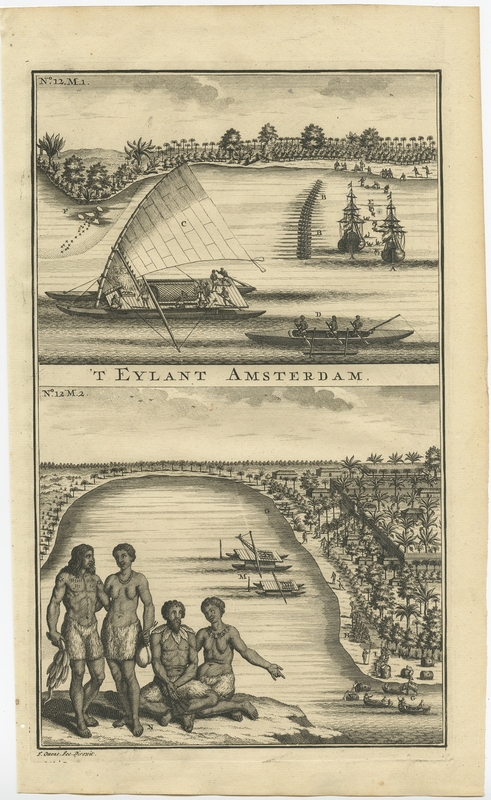 Two engravings on one sheet showing the native boats and peoples of Amsterdam Island in the Banda Islands of Indonesia. Dutch (V.O.C.) sailing ships and various local craft fill the foreground, the fortifications and buildings along the coast are illustrated. This print originates from 'Oud en Nieuw Oost-Indiën' by F. Valentijn.